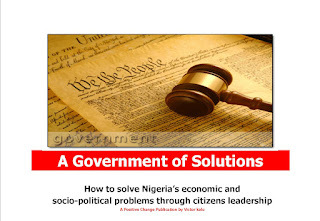 Our nation Nigeria has faced the same problems since independence, diseases, poverty, corruption, unemployment, underemployment, insecurity and so forth. All of us know the list by heart, All of us live the reality: the monstrous Benin-ore road, epileptic power supply, poor housing conditions, etcetera. One regime after another comes and goes, each looking busy, working, spending a stupendous sum of our common wealth and the same problems remain. Is it that these problems are unsolvable? No, far from that, what we need is a government of solutions. How can we get there? We do not need a government whose aim is setting agendas or making promises it cannot keep or a government whose aim is giving out contracts and managing projects. We don’t need a government that weights its achievement by the size of its budget, number of contracts it gives out or the amount of money it spends, rather we need a government that weighs its achievements by the impact of its programs, the enduring solutions they provide and ultimately through the testimonies of the common man. Brothers and sisters, we need to face each of our problems squarely. We need a government that will checklist all of our problems, recruit capable men and women not politicians or political godsons , put them in positions of authority and embark quickly on solving the problems one after another with clear timeline, veritable strategies, laser-sharp focus and unwavering resolve. Our only measure of success will only be when the man on the street can agree that the problems have been solved. Without this government of solutions, we will emerge at the other end of another fifty years with the same problems and economic realities. To be clear, the emergence of a solution does not connote the absence of challenges, as a matter of fact, solutions are born by challenges. For a champion cannot be said to truly be a champion without facing and conquering adversities. So we are not oblivion of the challenges we face or will face rather we believe that we can find the ingredients of baking a palatable solution inside the problems. With careful thinking, innovation and uncompromising leadership our problems can indeed be solved and in our time. We believe that our unique challenges should give birth to its kind, unique solutions. We believe that we can modernize our cities without putting our youths out of work. We believe we can organize housing without putting families under the bridge. We believe that every youth can and should have access to quality education without sacrificing the bread on our tables. We believe that every youth can be gainfully employed in a trade he or she likes right here in our fatherland without travelling overseas. We believe in a government that believes in possibilities and that is the government we will support. We believe in a government of solutions. The time has come once again for a chance to elect a new government, we must now be fully aware of our needs. 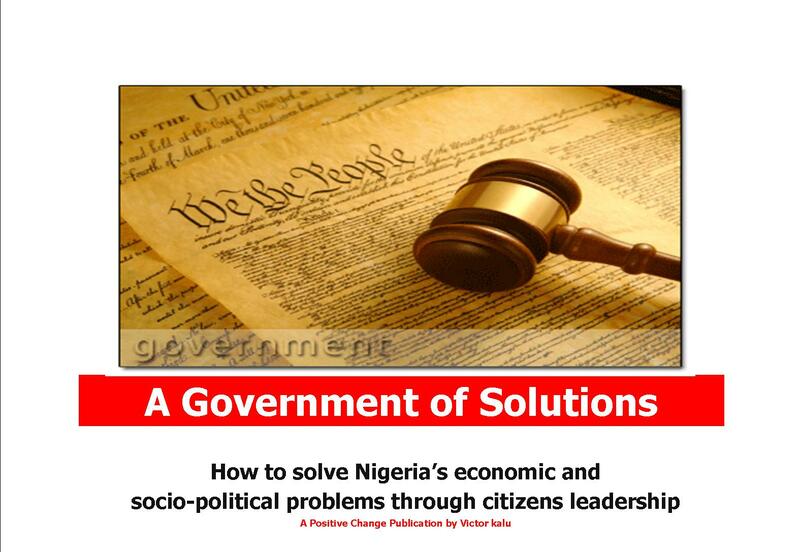 We need a government that can solve our problems and provide sustainable solutions without giving excuses. We need leaders that will not only provide concrete plans to do so and a corresponding timetable but leaders who also have a track-record of delivering lasting solutions. To support and make our support count, we have to have the crowd and as I have been rightfully informed by a reliable source, youths make up about 60% of Nigeria’s population. This is majority, we are majority. Our strength therefore lies in mobilization and togetherness. To cause the change we require, we must mobilize a critical mass of our own, youths, show the light and possibilities of the Nigeria we dream of, imbibe in them the confidence to stand up and speak up and conscript them into this wonderful partnership. We must also remain together in our fight, we must connect with our members, build relationships by every means possible and vote and voice together when duty calls. Fellow youths, a prosperous future is better than a day’s free meal. Get involved and Vote wisely.